My children, Nora in particular, love working in the kitchen. I rarely have to ask or invite them to work, but will often find them starting to make something on their own. And if I'm in the kitchen working, you better believe I will find a helper or two with me pretty quickly. The kids (and me) love to bake. I'm pretty sure they are mostly motivated by the delicious treat at the end! If I'm being honest, so am I! One of the ways that makes independent baking work possible is having the right tools in our kitchen to help make our kids successful. By having the right sized tools, I don't have to step in as often. 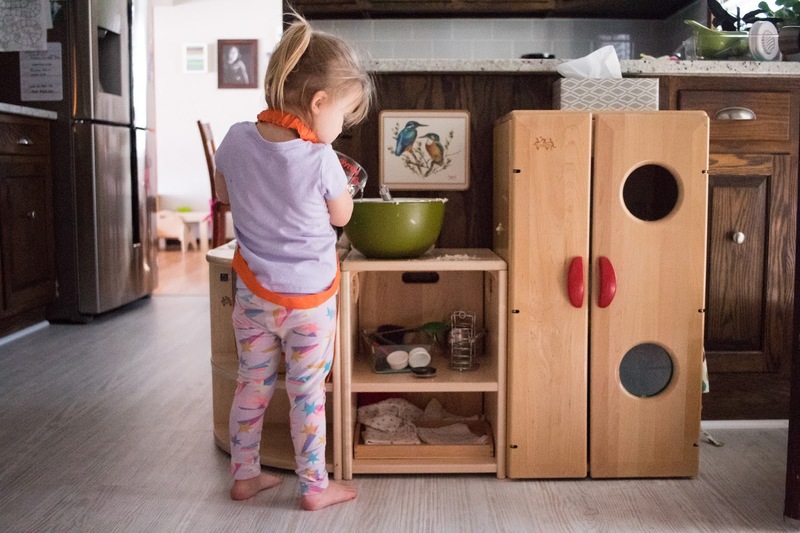 One of the greatest additions has been a toaster oven which allows the children to use the oven without help. The double oven mitt protects their hands, arms, and chest! A batter bowl has also been a great addition, since the built in handle makes it so much easier to stir and keep the bowl steady! Here's a look at some of the tools we have that we love for baking! Some of the tools, I have (like measuring tools) I just use what I have, but I've added some choices that I love the look of! 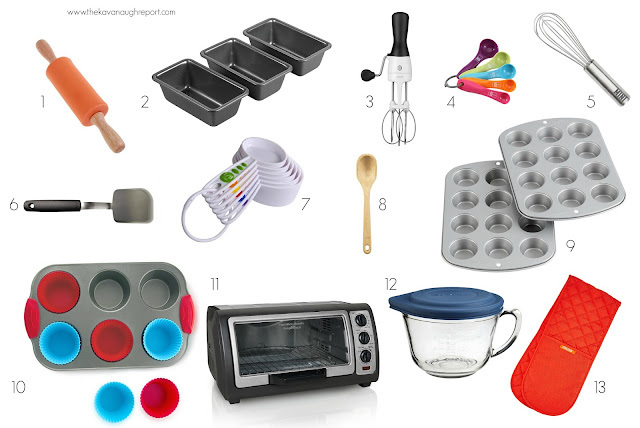 Baking tools are an important part of independent baking success, but they aren't they only thing we need. Kids also need time, space, and LOTS of practice! It also helps to have a prepared adult, one that is willing to let them try, and has their expectations in check. Your expectations and feelings about the situation will also influence your overall experience. Do you like to bake with your children? What tools do you find essential?